What in the hell was with this season? It seemed as if every series I watched had some sort of plotline that I found just unbearable. Due to these terrible plots, there were a couple shows that I almost decided that this would be the last season I watch them but I persevered because I knew it was all leading up to something good. So let's get on with this. We'll start where the week starts--on Sunday. 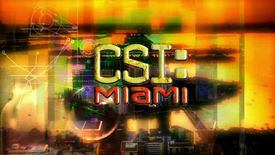 I started watching CSI: Miami a couple years ago because of my wife. I enjoy it. I love how it seems as if everyone is aware just how terrible the show is which makes it better. The plot I didn't like is the West Miami Prison break. A bunch of criminals--all apparently captured by Horatio (David Caruso) and his ragtag team of policemen. About halfway through the series, Horatio had to track down and capture the guy who killed his wife. I thought after the first episode featuring Memmo, he would become more of a threat to Horatio and his team but he's absent for a few more episodes then comes back having apparently taken control of the city. You would think they would've saved the Horatio-Memmo stand off for the season finale or at least closer to the end of the season because after Memmo was captured, second-rate criminals have been featured that don't offer as much suspense. The prison break plot was also annoying because it showed that there was no other police precinct capable of handling the escapees. All you have to do is have one person say "The 3-Oh got Jesus Delvecchio who escaped from West Miami Penitentiary" and call it good. Horatio's team doesn't have to do everything. The season finale also had them running around trying to find a prison escapee who had managed to escape from Horatio and Frank (Rex Linn) at the beginning of the episode and he's still free so we will be revisiting this plot at least in the first episode of the tenth season. I had high hopes for this season. 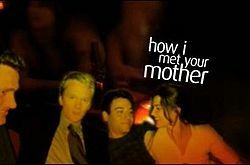 HIMYM was planned to end with the 2011-12 season so I was expecting a lot of reveals and surprises. Instead, I got a placeholder plot featuring Jennifer Morrison as Zoey. Back in the fourth season we were introduced to Stella (Sarah Chalke) as a potential candidate for the titular mother. It was then shown in an alternate flashforward that had Ted (Josh Radnor) married Stella, his children would be blond thus ending speculation about all blonde female candidates. That's how I knew the Ted-Zoey relationship was going to go nowhere. Unfortunately, the writers and producers decided to drag this out throughout the entire season. We knew the relationship wouldn't last. I even think Future Ted (voice of Bob Saget) said it didn't work out so why are we dragging this out? You couldn't think of another plot to fill the second half of the season? Any episode that relied heavily on Zoey, I didn't exactly pay attention to. I found her character annoying and the way Ted acted around her irritating. I enjoyed how Ted's friends initially didn't like Zoey either but then gave in. I would've kept the friends not liking her to add another layer to the plot and maybe try to have Ted convince the audience why Zoey should be liked. I'm getting high hopes about the seventh season because of how the sixth season finale ended. I remember reading a couple years ago that Carter Bays, one of the creators, said "if you've paid attention, we've met the mother" and that the last scene of the series was filmed during the second season. I now don't think that's true or they have scrapped what they had and they still have to introduce the mother. Either way, deep inside of me, I really hope that despite being renewed through the eighth season, it ends with number seven. It wasn't exactly a plotline I found annoying but just the way one of the characters was portrayed. I'll be honest, most of the characters on Glee are pretty annoying and I want to slap more than one of them but this season's gay bullying subplot reinforced my opinion of why Kurt (Chris Colfer) is the most annoying character on Glee. I don't care that Kurt is gay, I thought the bullying plot would be good because bullying in all its forms is wrong. What I got tired of was Kurt's "you-better-like-me-because-I'm-gay-or-I'm-going-to-act-like-a-martyr" syndrome. Early in the season, anytime Kurt would get slammed up against a locker he would begin a speech about how everyone is a homophobe and that when they are out of school and Kurt is somebody and the jocks are flipping burgers the score will be even. Shut up!! I know in the show Karofsky is a closeted homosexual so kudos to Glee of continuing the stereotype that all homophobes are gay. But the other jocks are just jerks. That's what jocks do. They find someone different from them--less popular and they torment them. And that Kurt acted like and was written like the only gay teenager who's going through this just made me more upset. And the attempts to create an hour-long public service message just made me cramp up and seemed tacked on. We should all do what we can to eliminate bullying in all of its forms. Shortly before Halloween, Green Dale Community College was ravaged by a zombie apocalypse where nothing was ever quite the same again. Shirley (Yvette Nicole Brown) and Senor Change (Ken Jeong) had hooked up, witnessed by Troy (Donald Glover), and the result was Shirley wound up pregnant. The rest of the season showed Senor Chang claiming the baby was his while Shirley was positive it was her boyfriend's Adrian (Malcolm Jamaal-Warner). When the baby was born the the third to last episode, it was revealed that the baby was, indeed, Adrian's. Why all the mystery? Was this really a plot that needed to be stretched through the entire season? Why not just mention it in the episode Shirley reveals she's pregnant and touch on it again when she gives birth? But no, Chang had to constantly mention it. I really like Community. I hope it becomes the hit it deserves to be but let's never have another plotline like this ever again. Smallvile is one of the few series I have watched from beginning to end during its entire original run that didn't end after 2 or 3 seasons. The others? Boy Meets World, The Simpsons and How I Met Your Mother--and two of these series are still on the air. I have enjoyed nearly every aspect of Smallville even when it looked like they were straying from the source material but this season, the final season, featured a background plot that went against everything. The engagement of Clark Kent and Lois Lane. Clark and Lois got engaged in the comics in Superman (Vol. 2) #50 in 1990. They would remain engaged until Action Comics #720 (1996) but would get back together and marry in Superman: The Wedding Album #1 (also 1996). Now in comics time, only about a year, year and a half went by between 1990 and 1996 and another year went by between Superman's debut in 1986 and their engagement in 1990. Smallville has never been really clear on the ages of the characters after they graduated from high school (at the end of the fourth season in 2005). Clark was shown going to college for about one season and then that was dropped. How Clark got a job at a major metropolitan newspaper without some sort of degree is better than any of his other powers. I had worried about the engagement and wedding for just about the entire season but the writers pulled it off. While some may feel it was a cop out to place the beginning and ending scene seven years in the future, I feel it just right. Unlike the other shows, Smallville redeemed itself in my eyes.